Great Lakes Excavating offers a turnkey demolition service for residential and commercial properties. Our demolition equipment allows us to perform concrete cutting, crushing and separating, brush removal, haul-off and leveling. Our demolition experience ranges from site clearing to full scale building demolish. We offer comprehensive demolition services and provide safe and efficient demolition of building structures, trees, concrete, old barns and more. 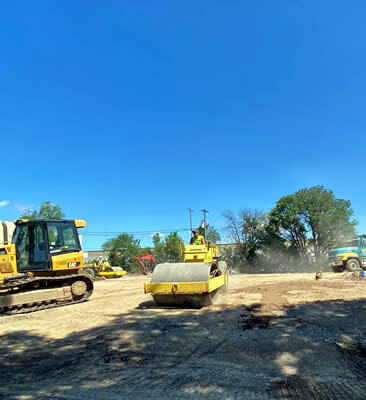 The entire project will be performed by Great Lakes Excavating which assures our clients that the work will be competed on or ahead of schedule and in the most cost-effective manner.